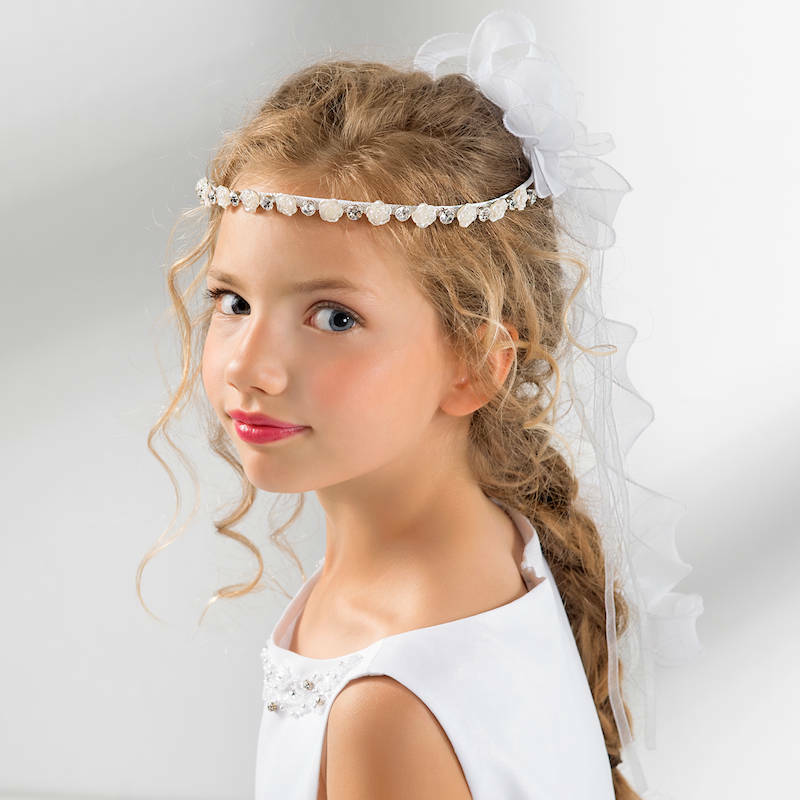 Beautiful girls diamante & rose organza curl garland / wreath, made by Lacey Bell style CA236, the perfect compliment to her flower girl or communion dress. 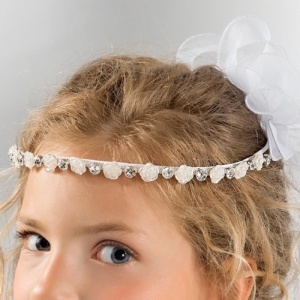 This adorable garland is made to order just for you, by UK designers 'Lacey Bell', so once you have placed your order please allow the sufficient time (as quoted when you select the size) for completion prior to dispatch (more information will be provided after you have placed your order). For urgent order's, please contact us prior to ordering to enquire.